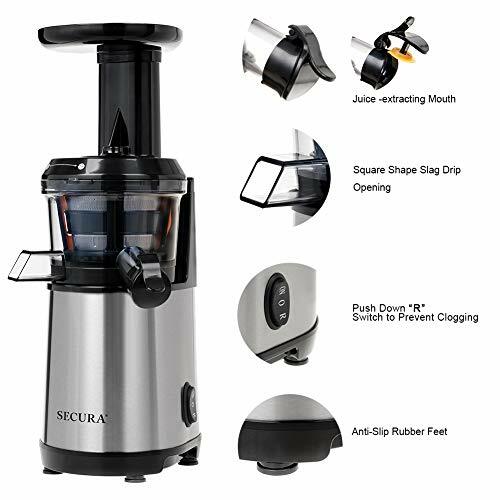 Drip-free smart cap keep your kitchen countertop will stay nice and clean. 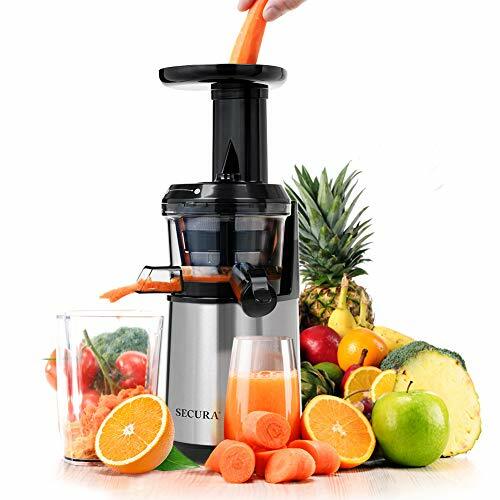 Effectively crushing, squeezing and extracting the maximum amount of juice from fruit and vegetables while retaining the living nutrients and enzymes! 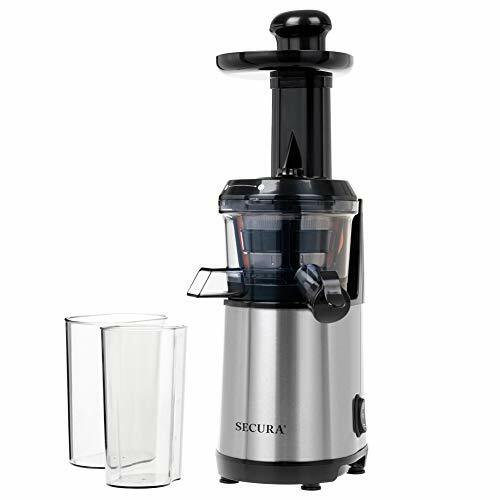 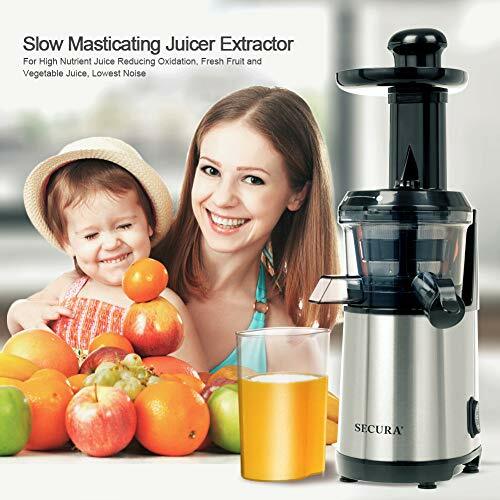 The Juice Extractor runs less than 60 decibels, lower noise compared to other slow juicers, minimum disturbing to your healthy life.Highest Nutiritional Value–Slow masticating can perfectly separate juice and pulp,extracting higher-purity juice and preserving higher nutritional value. 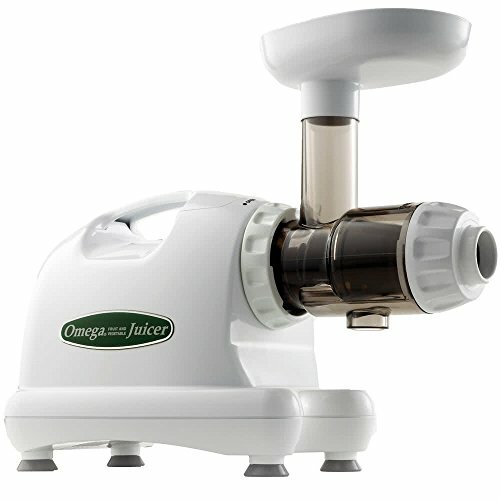 spins at 80 RPM that can preserves the vitamins, enzymes, minerals, trace minerals and nutrients from being destroyed than centrifugal juicers. 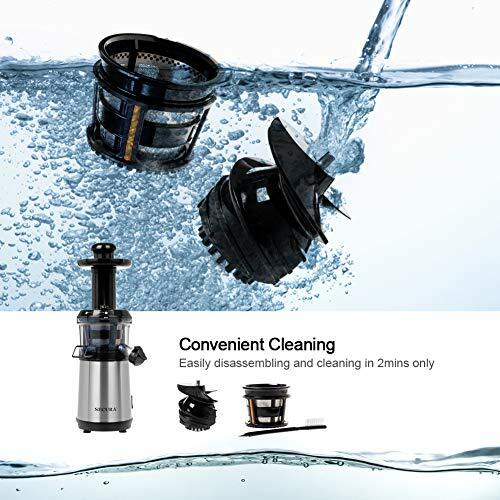 Easy to Assemble and Clean–All detachable parts are easy cleaning with a bonus brush or can be safely cleaned in your dishwasher. 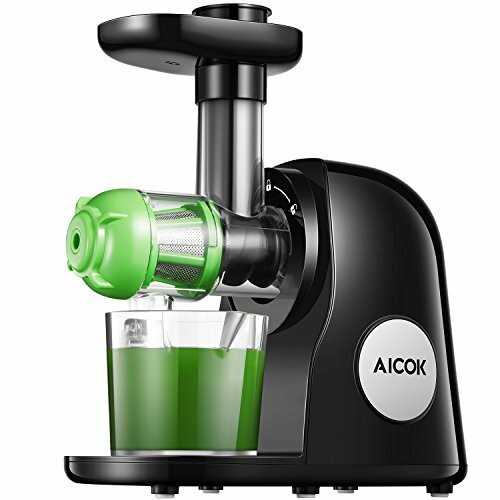 Highest Juice Yield–With efficient spiral squeezing and reversing function, the juice extractor can increase the yield of juice compared to the centrifugal juicer, which perfectly separate juice and pulp. 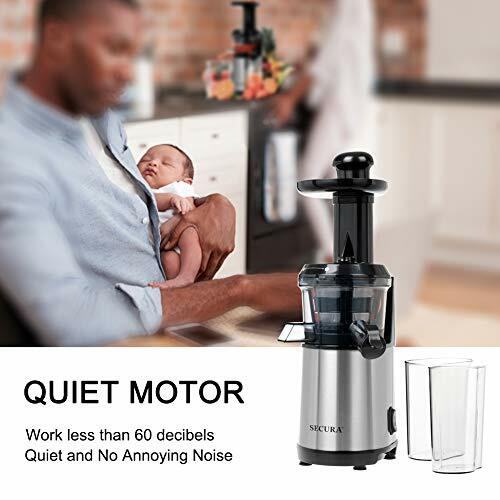 Quiet–Powerful but quiet motor, smooth operation that makes juice quickly with less than 60 decibels to make a cup of nutritious juice.Let you enjoy the pleasure of juicing with lower vibration and non- excessive noise! 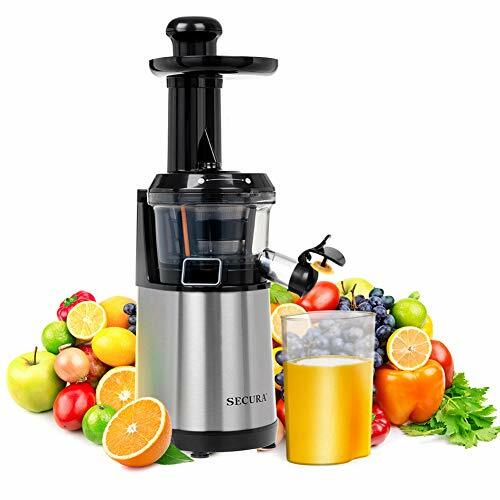 Warranty–5 Years warranty, if you have any problem with our slow juicer, please feel free to contact us,We will provide you 100% satisfaction.